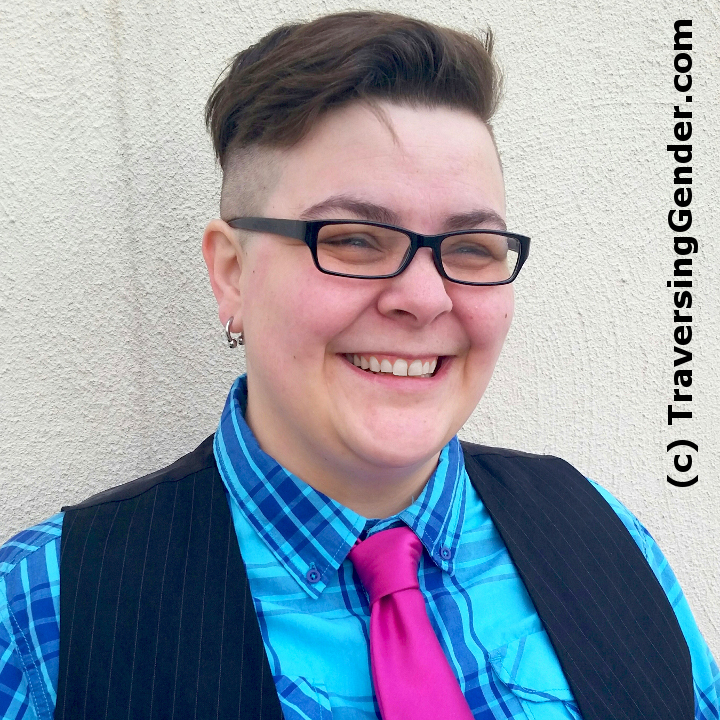 Traversing Gender is the brain child of Lee Harrington, who also was the author of the book! Lee Harrington is an internationally known sexuality, relationships, and personal authenticity educator. Having taught in 48 states in 6 countries, he brings a combination of playful engagement and thoughtful academic dialogue to a broad audience. 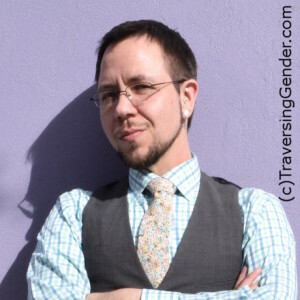 An award-winning author and editor on human gender, sexual, and sacred experience, his books include “Traversing Gender: Understanding Transgender Journeys,” among many other titles. He has been blogging online since 1998, and been teaching worldwide since 2001. Read more about Lee at PassionAndSoul.com. Beyond his work, Lee also happens to be a trans man who medically, socially, and legally transitioned in 2006/7, having attempted to do so as a teen. His gender journey has been a complex one, from non-gender child to trans boy, high femme woman to genderqueer being, and now a happily metrosexual male who happens to do drag from time to time. Embedded in various gender and sexuality communities worldwide, he is blessed to have a web around him of individuals across the gender spectrum who provide him with a regular influx of inspiration and new perspectives. The artist for the book’s interior is Andi Fogt. Andi is an Indianapolis based artist and illustrator who creates work exploring gender and sexuality. He graduated from Herron School of Art and Design with a BFA in Printmaking. His aesthetic draws heavily from his background in intaglio and screenprinting, which translates into art that revels in flat colors and ink line work. When not working on professional illustration assignments, Andi applies his creative energy to projects within his local queer, leather, and burlesque communities. He spends free time reading, traveling, celebrating connections with poly family and wrangling his cat, Penelope. Our cover artist, and book layout artist, is Rob River.